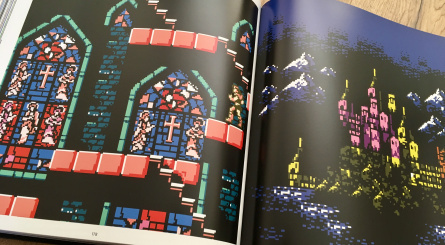 We've seen lots of attractive coffee table art books aimed at retro gaming fans in recent times, which is no bad thing. 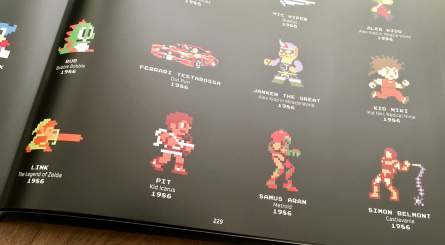 Joining the ranks is a publication simply titled 8-Bit Art Book - by Ear Books - which pays homage to the visual quality of classic games spanning from 1975 to the early '90s. 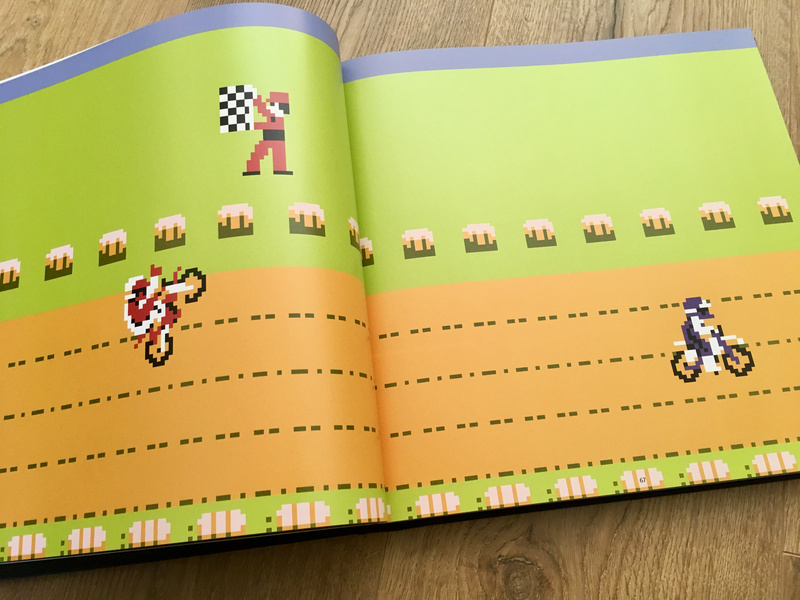 The author Stephan Guenzel is a professor at the Berlin Technical Art School, and he kicks the book off with a seven-page introduction (in both English and German) which digs into the history of early video games. 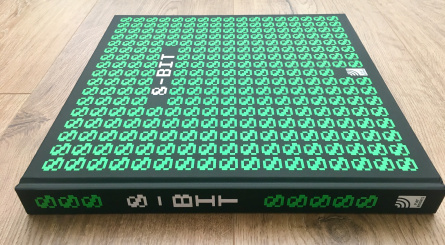 He focuses on how the 8-bit era was defined by the achievements of designers who understood how to get the very best out of the graphical parameters available to them. 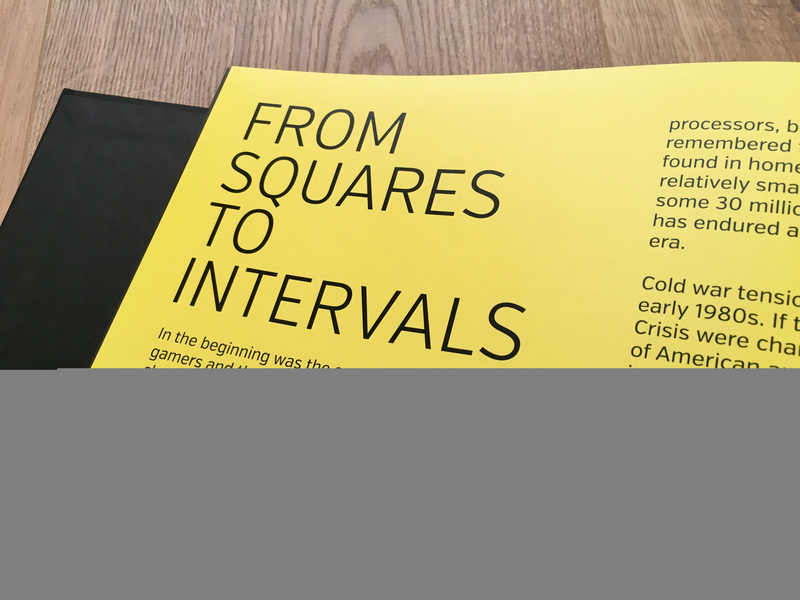 It's a fascinating read and sets the tone nicely for what is to come in this minimalistically presented book, which is otherwise quite short on text. 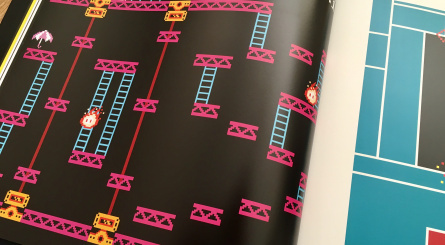 The second section of the book is dedicated to artworks ranging from Taito's mid-'70s arcade shooter Gun Fight to the much more colourful Kirby's Adventure in 1993. 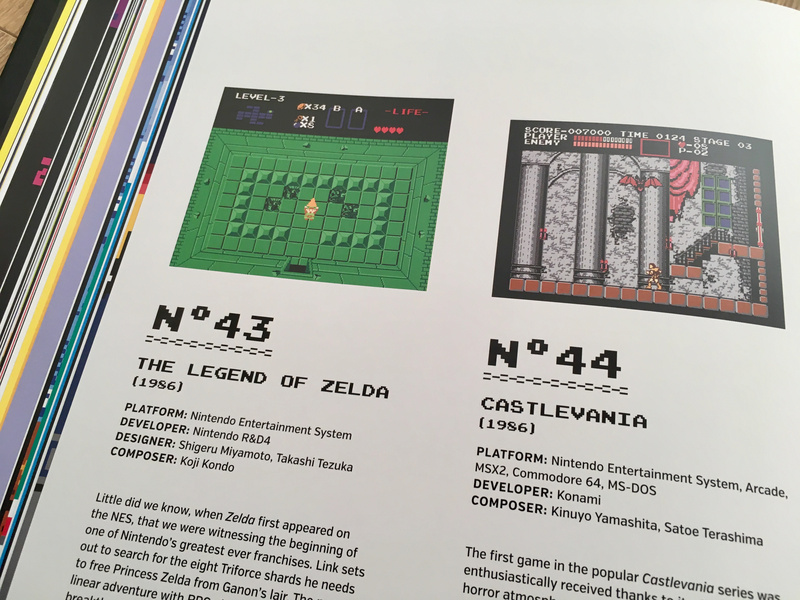 The one hundred games chosen for this section nicely represent the 8-bit era, and it's a pleasing trip down memory lane for retro gaming fans. 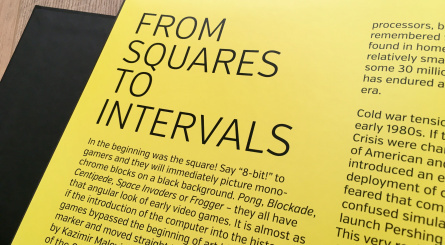 Each entry has a small section of accompanying text, which gives a bit of context to the time in which each game was released; there are a few chuckles in there too. 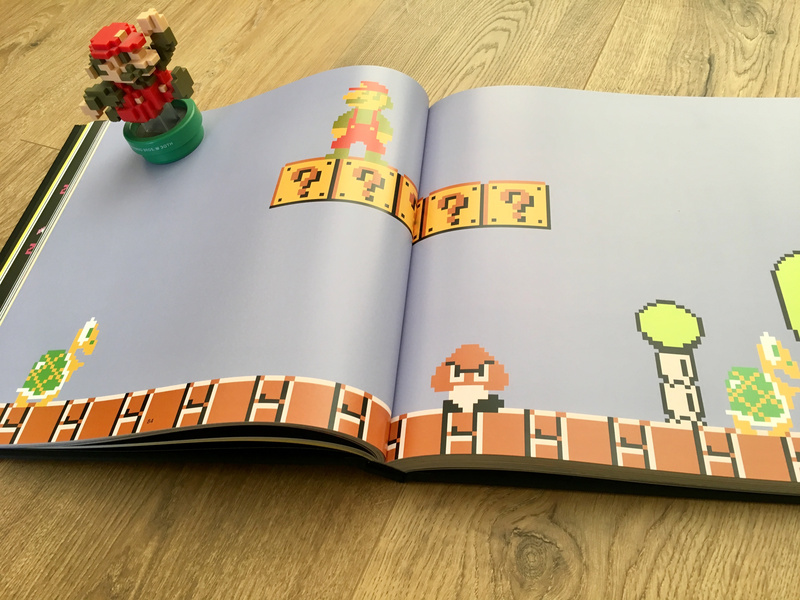 Generously interspersed among these game bios are lots of page spreads for classic games such as Donkey Kong, Castlevania and Super Mario Bros.; their 8-bit graphics look glorious when stretched across two 28cm x 28cm high quality and colourful glossy pages. 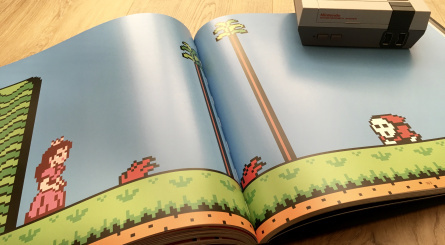 Make no mistake, this is a coffee table art book at heart, and if you want something to flick through which will invoke nostalgic memories, this is a great option. 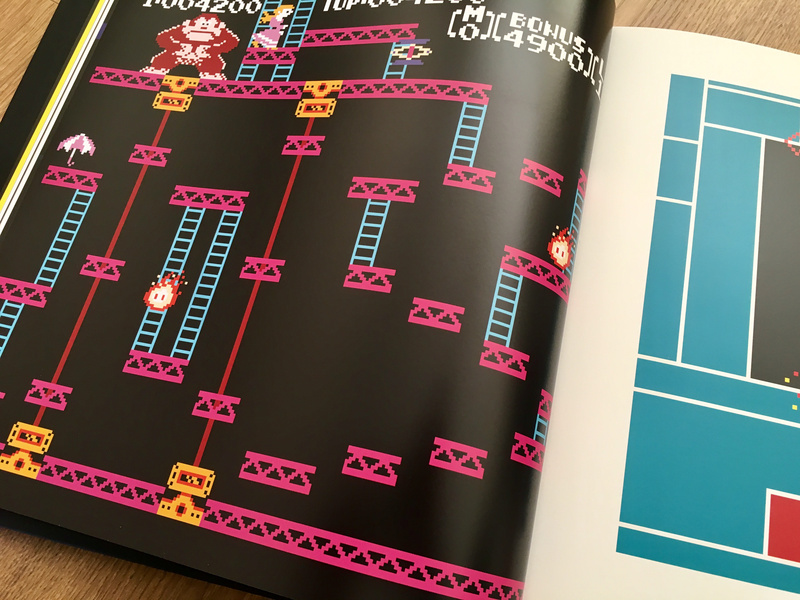 There are also some double page spreads - for games such as Metroid and Mega Man 2 - which have a bit more background detail on offer. These pages are few and far between, but work nicely to break up the image-heavy nature of this section. 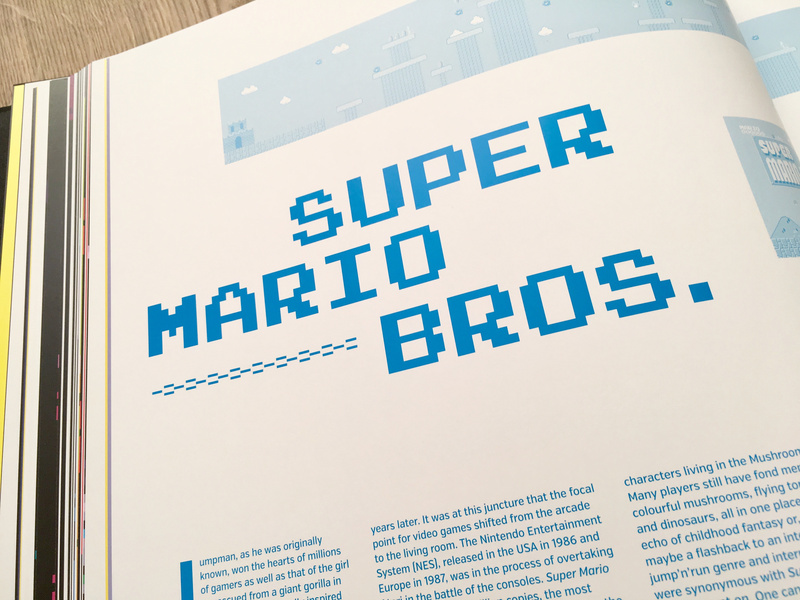 Nearing the end of the book we find the third section, which is dedicated to 8-bit sprites and spans a short but sweet four pages. 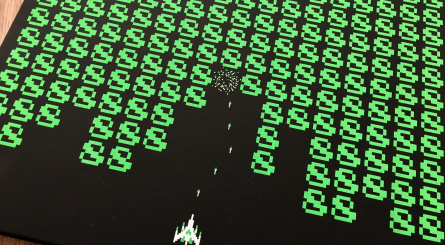 Here you'll find a whole host of characters including Janken The Great, Ladd Spencer and the affectionately named M-308 Gunner along with a welcome reminder of which classic game they appeared in. 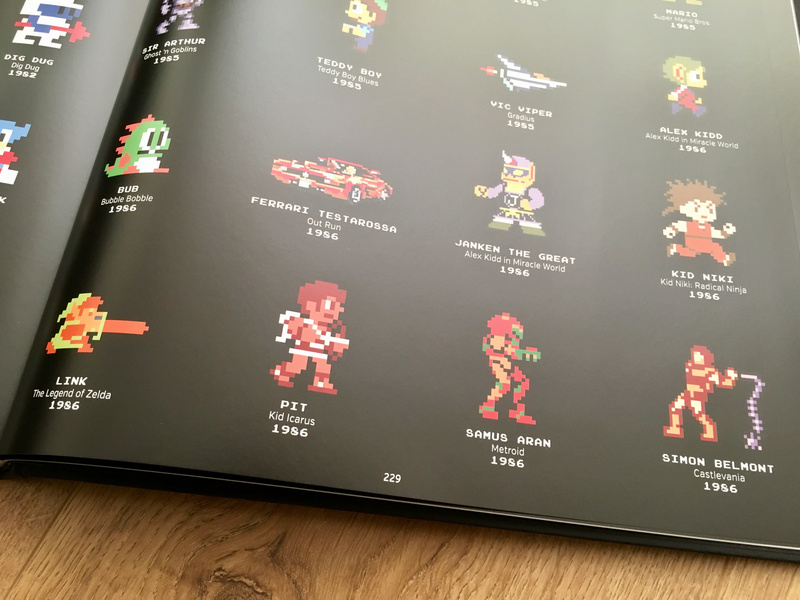 The book also comes with a massive fold out poster featuring these sprites, which could look great in the corner of your retro gaming room. 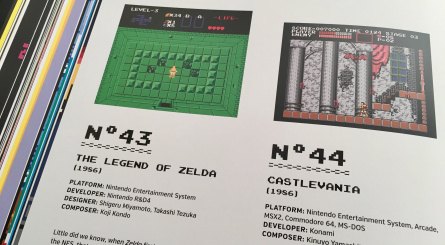 Last but not least we have a three page section dedicated to the platforms that hosted these 8-bit classics. Of course all favourites from Nintendo and Sega are presented, but there are also lots of others such as the Fairfield Channel F and Bally Astrocade, which might encourage you to head over to Wikipedia to learn more about this ageing home hardware. 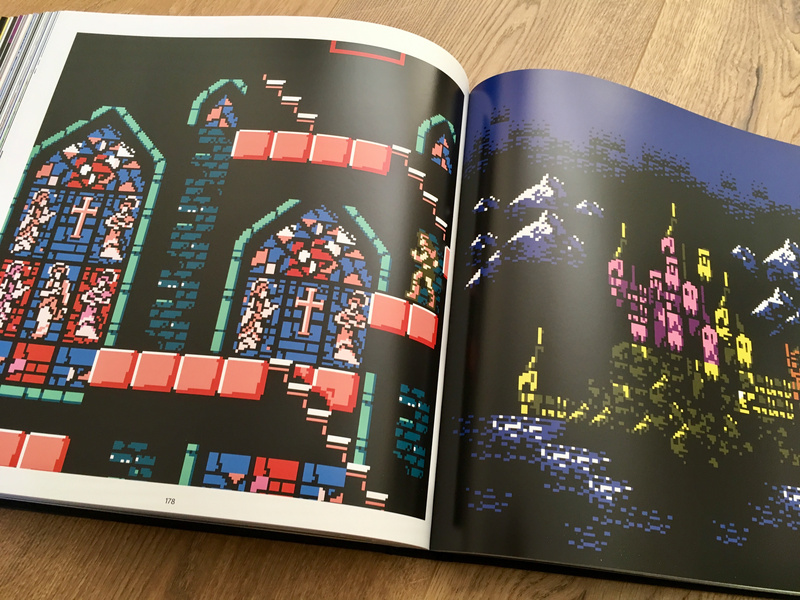 If you're a retro gaming fan who is in the market for a high quality coffee table art book, then you are in safe hands here. 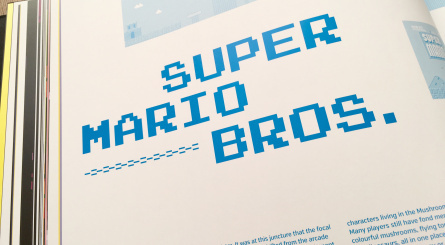 It would also make a lovely gift for a loved one of a certain age too, of course. 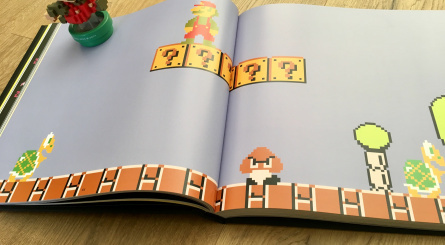 We really appreciated the visually striking, minimalistic approach which the book takes in presenting the subject matter; as the games are presented in a chronological timeline, it's also fascinating to see where each game fitted in. The only negative is the space taken up by the inclusion of both English and German text. 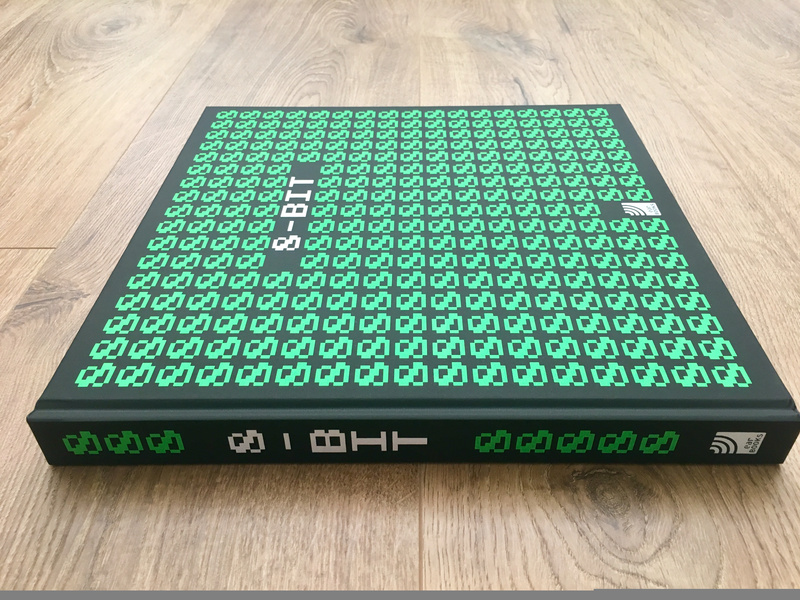 While it is hard to begrudge this as the book comes from a German author, in an ideal world a separate English-only version would have been produced. 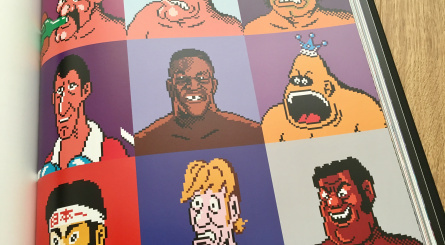 The 8-bit era of video games is fascinating, as artists of the day had to be as creative as possible to overcome hardware limitations. 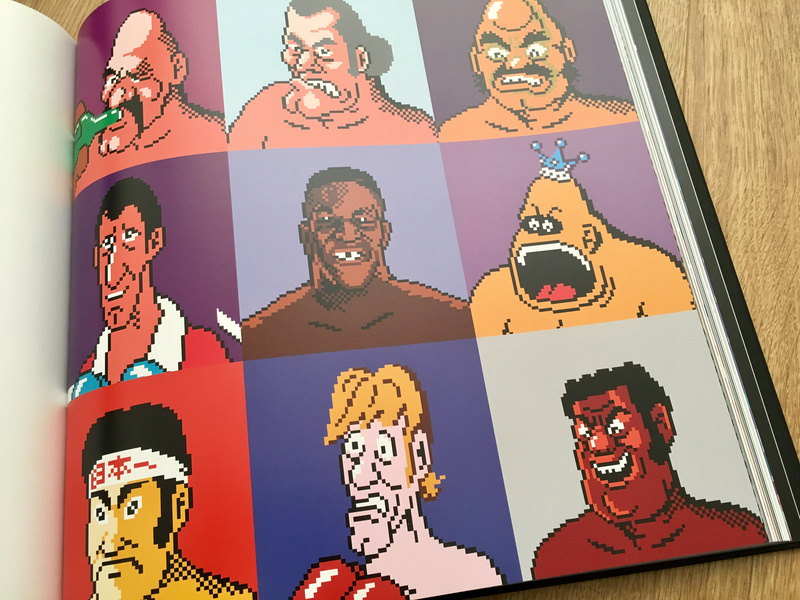 This art book - spanning 240 pages - is a wonderful celebration of that time and deserves a place in your retro book collection. The book used for this review was kindly supplied by Funstock and is priced £29.99. This is something i going to buy. @BionicDodo yep it's dual language throughout. It's not really a deal-breaker, but it would have been nice to have had a English-only version that's for sure. @Dazza Thanks. I will probably pick this up at some point but the dual text has definitely taken it off my immediate buy list. Shame. 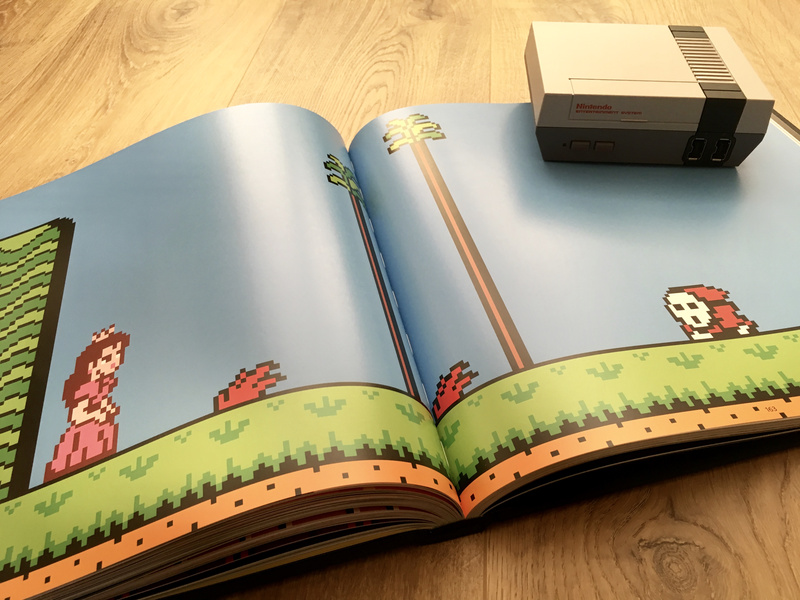 I appreciate the use of the NES mini as a page holder for the book. Hey, look at the bright side, you can use it to teach yourself German. I'd love to get this from Santa. 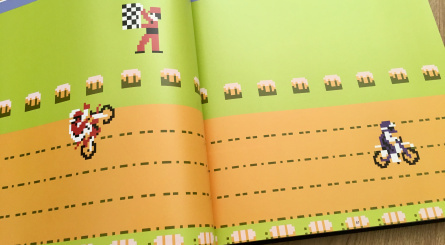 If I had the money I'd be buying a whole bunch of these awesome retro-gaming art books; they're just so awesome.